About: Tiny was born in the sanctuary’s nursery, and Juana has been able to provide him with a carefree, happy life. 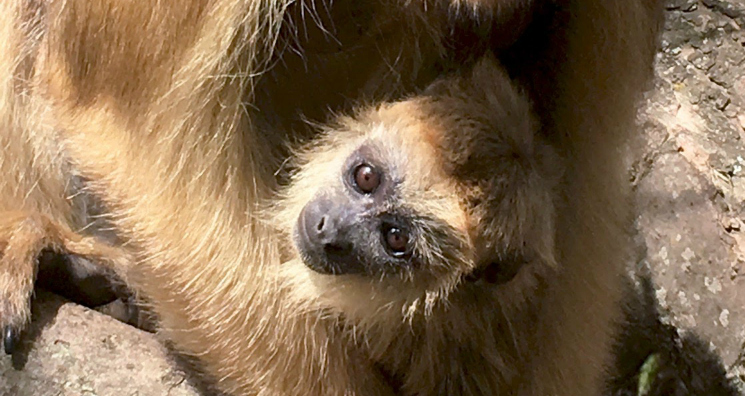 Tiny doesn’t get out much on his own however - he spends all day (literally) hanging on Juana, letting her bring him food or water and to hang out with the other monkeys. Eventually Juana will let Tiny venture off on his own so he can learn to do things for himself. When they’re ready, they’ll both head back to the wild to get in touch with their roots. Juana is giving him the childhood she never had, and the future is bright for this vivacious youngin’.